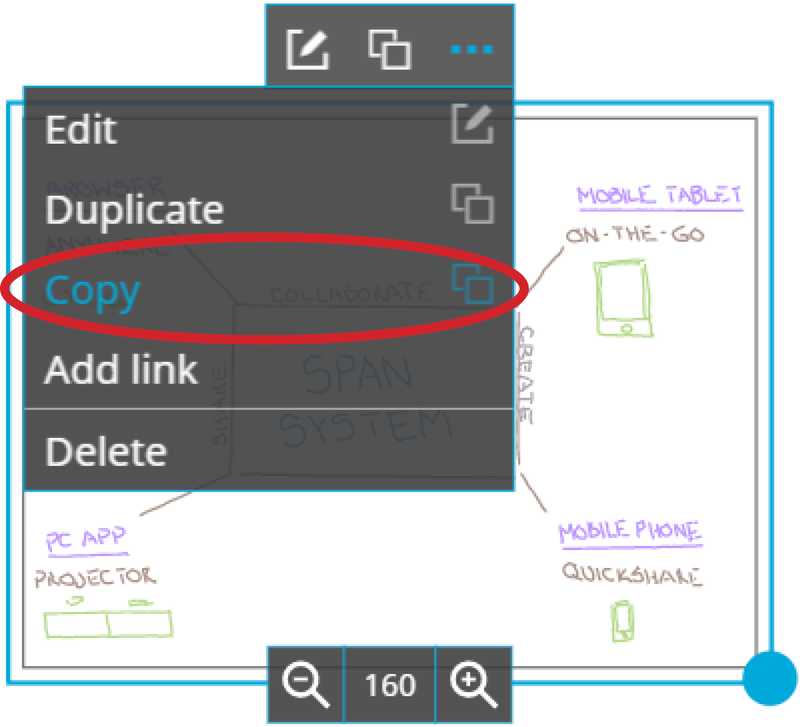 Use copy and paste to easily add content to your canvas. The copy and paste function does not work on mobile devices. Copying content from one canvas to another is only possible using a compatible computer browser. 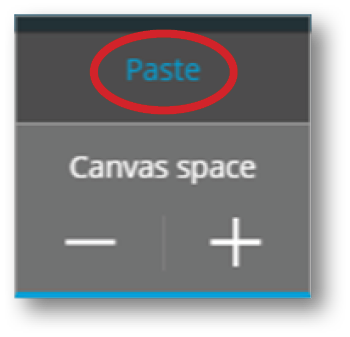 The canvases must be in the same subscription and the same browser for the copy and paste function to work. Click on the content to be copied. The object can be a single object, or a group containing multiple objects. Alternatively, use the keyboard Ctrl + C shortcut (Command + C for Mac® users). Open another Span canvas on a new tab in your browser. The object will be pasted into the second canvas. The content will be added to the canvas as either a text or image. Open your canvas and use your keyboard shortcut to paste (Ctrl + V on a computer and Command V + on a Mac). Images larger than 1400 px wide may be cropped when pasted into the canvas.